Fusion satisfies a quality product at a fair price, while keeping the environment in mind. This philosophy transcends to all of our products. We work with small family run owned and operated companies to source our raw materials and accessories. We are very particular about who we work with and we want to offer you only the best! The key to a beautiful project is part talent, and part materials. Fusion provides a beautiful flawless easy to use paint. It all comes down to chemistry and understanding how and why certain ingredients will affect our products. Let’s talk about coverage! Everyone always comments on our coverage: “How is yours so good?”. 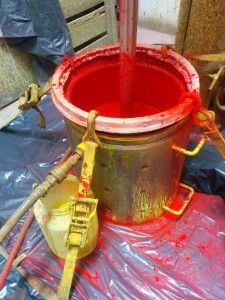 Our answer – we use A LOT of finely ground mineral pigment. 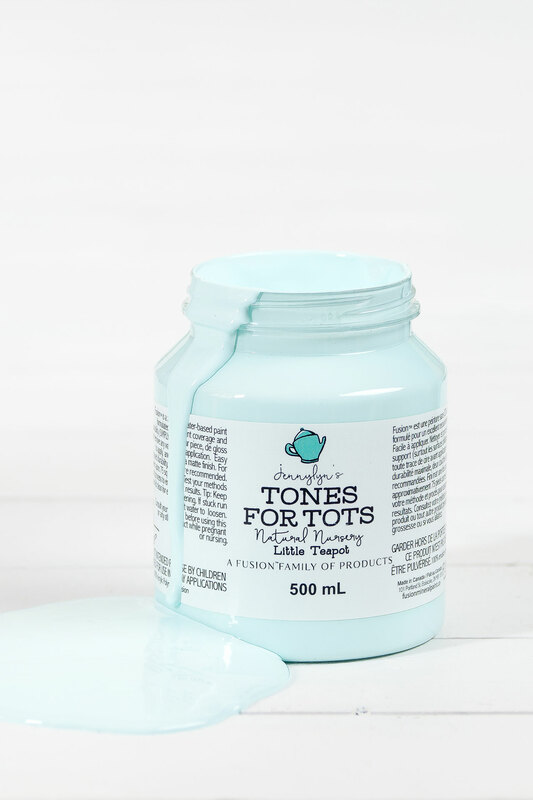 This is in fact the most expensive part of the formulation, second to binder (the resin that allows it to adhere and give long lasting durability). 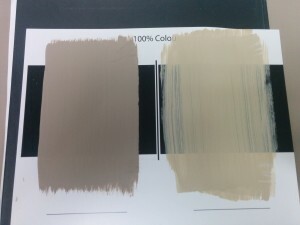 You can see below on a third party lab draw down card against a very well know high end competitor, one coat of our paint in a similar colour, compared to one coat of their paint- the results are obvious, there is no argument here, Fusion offers much better coverage! Our products against a competitors adhere to a plastic lab draw down card, theirs flakes off- even after 3 months of letting it settle and cure, Fusion dries to the touch in about 1/2 hour, and continues to get stronger as it cures. Our 100% acrylic resin hardens to an extremely durable, scrubbable coating after a full cure of 21 days. Our Paint formulation is so durable is can also be used on exterior surfaces too! Thanks to our high quality resin, it is water proof and UV resistant and will out perform most high end house paints on the market. A true non-yellowing top coat is difficult to find these days. With our premium formulation, that is exactly what we have, a Clear Tough Coat. Look at these photos of our competitors products versus ours. This is a UV accelerated sample, simulating 3 years of accelerated UV exposure. Our is still perfectly clear whereas the materials used in the “non yellowing top coat” from our competitor goes almost a dark amber. It is very important to have a proper clean facility, while we want to keep everything clean, we also care about our environment. Not a single drop of water goes into the water table. 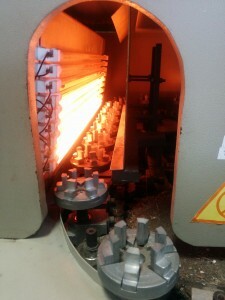 Every ounce is recycled back into our facility and re-used. In fact, our Concealer was formulated out of the potential waste that we would have had! We have turned our dirty water, through a series of filters, into a pigment, and reconstituted it to be recycled and used as our concealer. 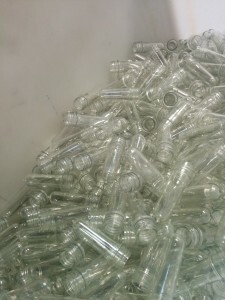 It is 100% acrylic that has been recycled through our waste management facility! How awesome is that? We also have UV lighting running to kill any bacteria with water based products. We manufacture and answer to the highest standards, resulting in only the best formulas on the market. 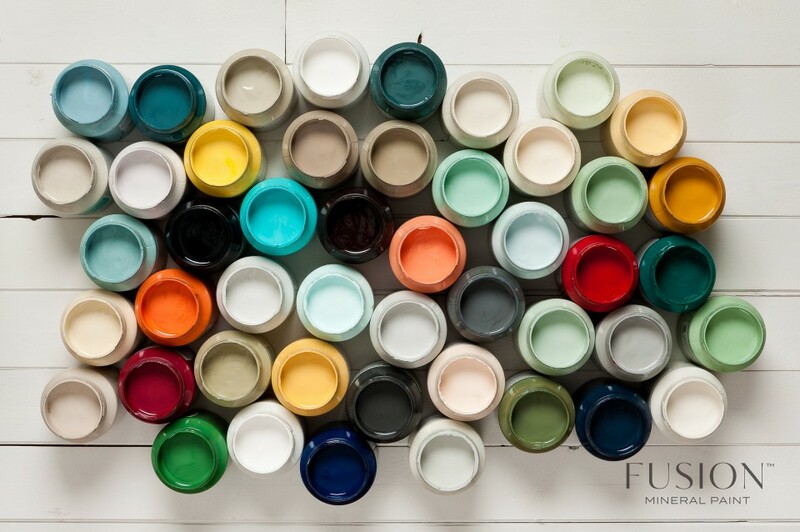 At Fusion we grind our own pigments, which results in a very pure rich colour. 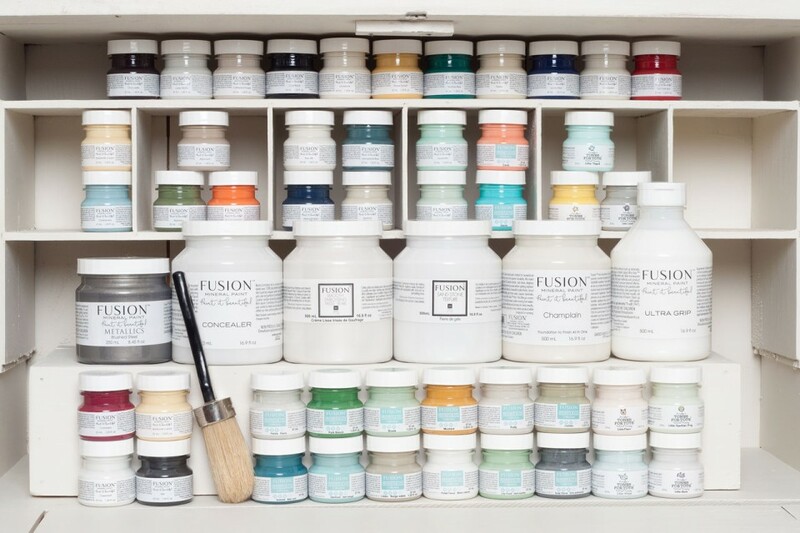 Every colour has its own formula, as different pigments will react differently and will require a balancing act if you will. Compared to pigment, the next most expensive thing is the binder, we have the best balance of binder to pigment to solids ratio. We balance the PH ratio without using chemicals, unlike virtually all of our competitors. Why is a perfectly PH balanced paint so crucial? When the paint is dry, you want to make sure that it is in the correct proportion, for stretchability, strength, archival painting, museum quality. A proper PH allows us to ensure that. 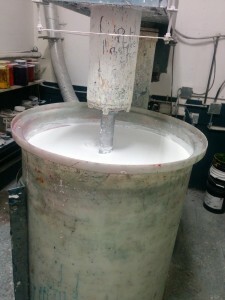 Did you know that all of our packaging is made on site, blow molded by hand? All of the off cuts or defective packaging are ground back up and re-used! Our packaging is made up of the highest grade PET plastic which ensures that the paint quality will not be compromised. The paint inside will not dry out, create a film, separate or go bad for 7 years. That’s right, 7 years! Ever open up a product after several years and you see hard crusting around the sides, or the paint has gone thick and chunky? Not with Fusion! Our packaging is also recyclable! Every bottle is packaged and labelled by hand. Everything we produce is 100% unique and exclusive, and available to our fine retailers and customers! 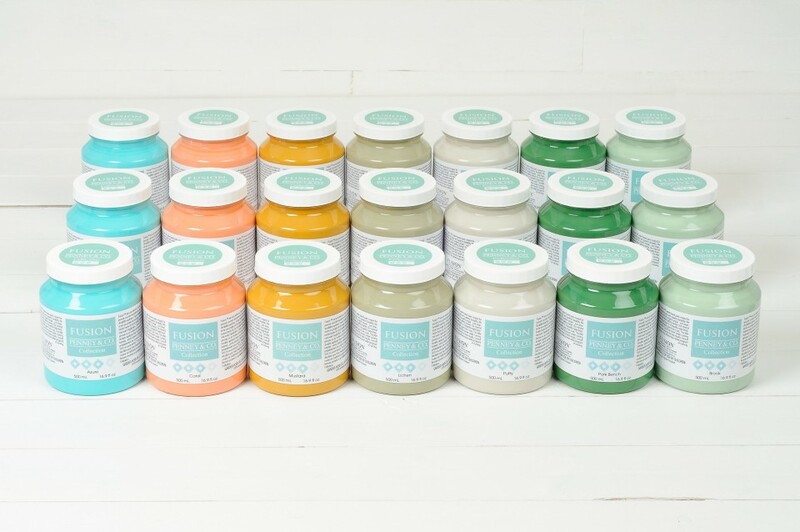 In addition to our products being zero VOC, and virtually odourless, there is no ammonia, formaldehyde or other highly toxic chemicals found in many paint and finishing products on the market. Read our full disclaimer here. We are proud to manufacture such an amazing paint, and we thank you for stopping by to learn a little more! We know that once you experience the Fusion difference, you will be amazed! Time to close the curtain…until next time!